The Paul Bunyan Trail is a 75-mile paved trail for hiking, biking, in-line skating and snowmobiling. Bike rentals are available along the trail which runs from south of Brainerd to Walker and connects with other trails along the way. 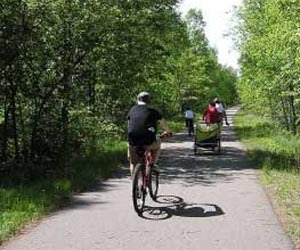 Learn more about our favorite Brainerd bike trails.